Topics: Whiteboard Wednesday, Friction Stir Welding, What is Friction Welding? Friction Stir Welding is another friction welding technique that has beneficially impacted the aerospace, transportation and electronics industries. 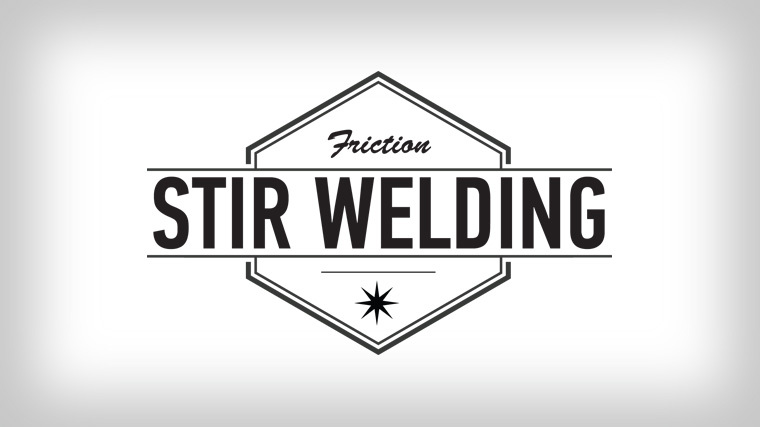 Like other friction welding processes, friction stir welding uses frictional heat and force to forge materials together creating extremely high-quality, solid-state joints. In other friction welding processes, one of the two parts is typically moving — creating the friction and heat needed to form the bond. However, in friction stir welding both parts are stationary and the relative motion is created by a rotating pin tool. The two parts being joined are clamped together to keep them stationary throughout the process. The friction stir welding process uses a non-consumable pin tool — for a visual, picture a dry erase marker with the cap on. The pin (the tip of the marker cap) rotates and penetrates the material along the seam of the two parts. The shoulder of the tool (the wider surface of the cap) rides along the surface of the parts and input most of the heat and force as the pin rotates. The rotating pin embedded between the two parts plasticizes and is mixes the two parts together; this is the stirring action. The tool moves along the length of the seam while the rotating pin literally stirs the two materials together leaving a distinctive flow pattern of forged material in its path. The grain structure in the weld zone is finer than that of the parent material and has similar strength, bending, and fatigue characteristics. Friction stir welding can be used to weld very thin materials — as thin as 1mm or less. The materials can also be very wide or very long, such as panels or plates. One great friction stir welding application is welding extrusions. Extrusions are materials that are specifically shaped and can vary in many different geometries. The FSW process can be very cost effective because smaller extrusions are much less expensive to produce than really wide extrusions. And with friction stir welding, it is easy to weld together many small extrusions until the part is as large as needed. So why use friction stir welding instead of fusion welding? When using fusion welding one of the side-effects is melting. Melting means re-solidification, which can weaken the parent material. So to get the same joint strength of a solid-state bond, a fusion weld would require more material at the welding section which adds mass. The longer or wider the part, the more material is needed at the welding section and the more mass increases. Instead, friction stir welding results in the same solid-state joint using less material. This provides cost savings for the same high performance. Small weight savings in high volume automotive applications or significant weight savings in larger extrusions can add up to significant savings for the OEM. MTI is the leading expert on welding processes and applications. Whenever manufacturing issues arise, contact MTI so we can work with you to identify the issues and develop solutions specifically gear to your needs. We’ll build a machine that makes your part, we’ll make the part for you, or we’ll help you make the part even better. 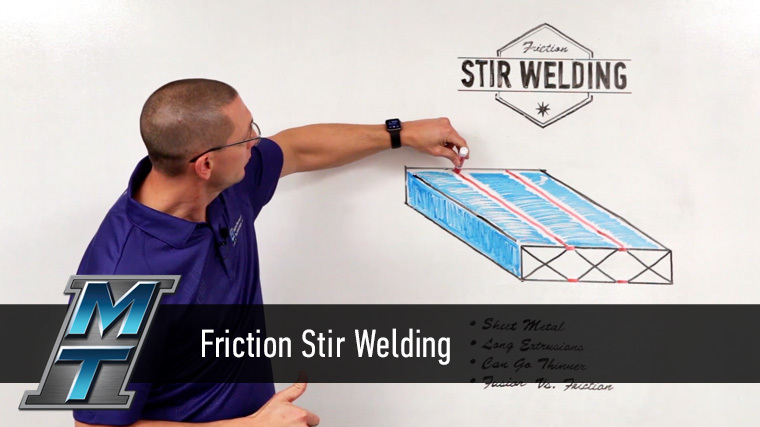 Learn more about friction stir welding and watch how friction welding can be put to work for you.